S&P 500 buybacks and dividends set a new record at $900 bln in 2014. But as U.S. unemployment falls, firms like the fast food chain are beginning to invest in workers. Higher pay costs, along with higher interest rates, could thin the wads of cash companies hand investors. McDonald’s announced on April 1 that it would be raising the average hourly pay at its company-owned restaurants in the United States to around $10 by the end of 2016. The fast food chain also said that from July 1, 2015, the starting wage would be $1 above the local mandated minimum wage. 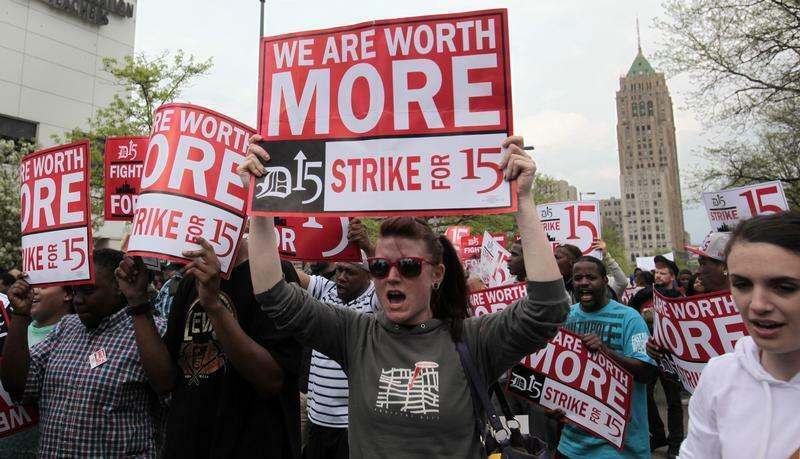 The U.S. federal minimum wage is $7.25 per hour, but many states have higher floors. In 2014 S&P 500 Index companies set a new record for dividends and buybacks, spending $904 billion, up about 15 percent from the prior year, S&P Dow Jones Indices said on March 23. Buybacks alone accounted for $553 billion, slightly off their 2007 record of $589 billion. At $350 billion, dividends set a new record. Median U.S. earnings increased to $796 per week in 2014, up 1.7 percent from the year prior, according to Bureau of Labor Statistics data. That’s only slightly better than the 1.5 percent annual average over the past four years.